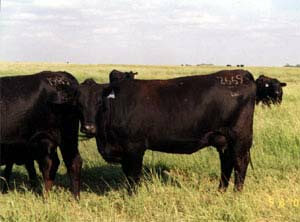 A 2-year-old daughter of B/R New Design 036 who has a Precision dam. GAR Precision 1680 crossed on 036 stacks a lot of carcass genetics into one animal. 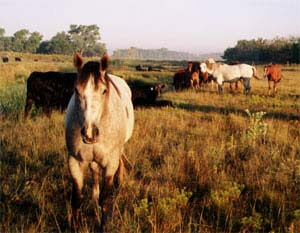 We have a lot of good ones like that here in our herd at GAR. an Old World Bluestem meadow next to Antelope Creek. 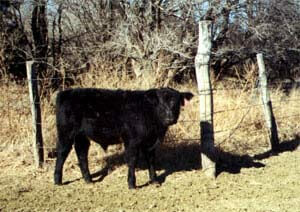 This 4-month-old Focus son is out of Grid Maker’s dam. Might be one of the good ones in next year’s sale. 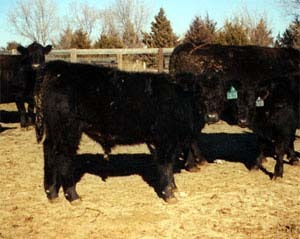 These 4-month-old bull calves are looking very good. 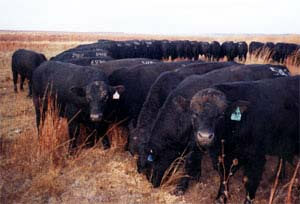 They will be sold in our production sale a year from now on April 5, 2003. A 6I6 calf out of 755 (Expectation’s full sister). on dry grass and 5lb. of “cake” (a 20% protein). This poor cow has a big baby sitting job! 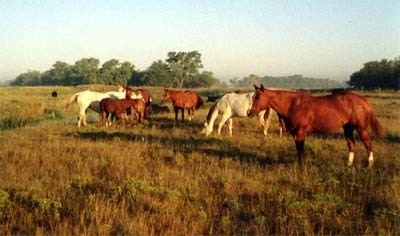 A beautiful set of mares and colts. 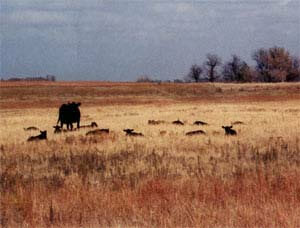 Old World Bluestem makes a good source of prairie hay for GAR. The poet might describe this as a bucolic scene. That is sort of an ugly word for a pretty sight. 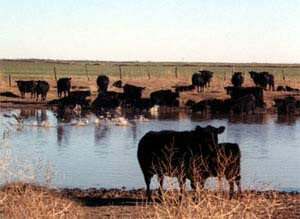 Cows, calves, and Canadian geese. 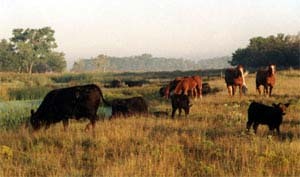 Cows, calves, and horses along Antelope Creek. 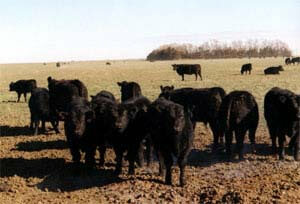 two months after they weaned their last year's calf. 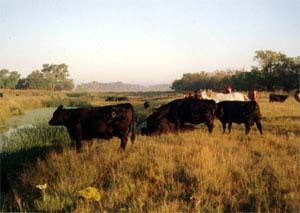 An early morning ranch scene. 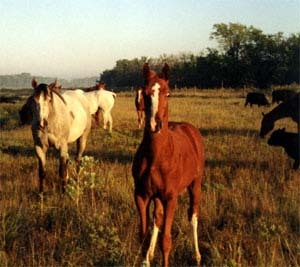 This flashy colt has a wide-eyed stare. 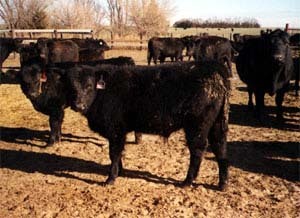 A good set of bull calves. 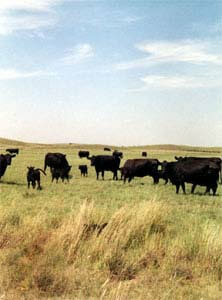 Candidates for the 2003 April Sale. 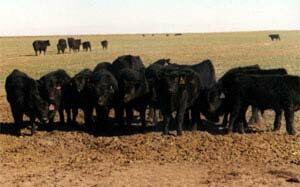 and very good carcass genetics in all traits. IMF = +.11 (Top 15%), Rib Eye = +.75(Top 1%), Fat = -.005 (Top 30%), %RP = +.44 (Top4%). It looks like these young boys are having a good visit.